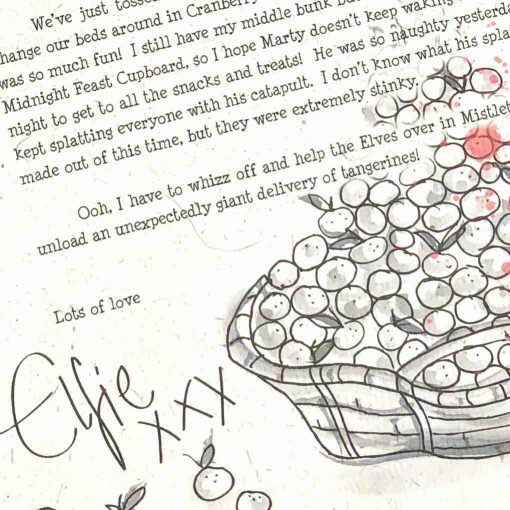 A handcrafted personalised ‘Tooth Fairy’ letter written by Elfie, one of the Elves in the North Pole. Complete with splodges. 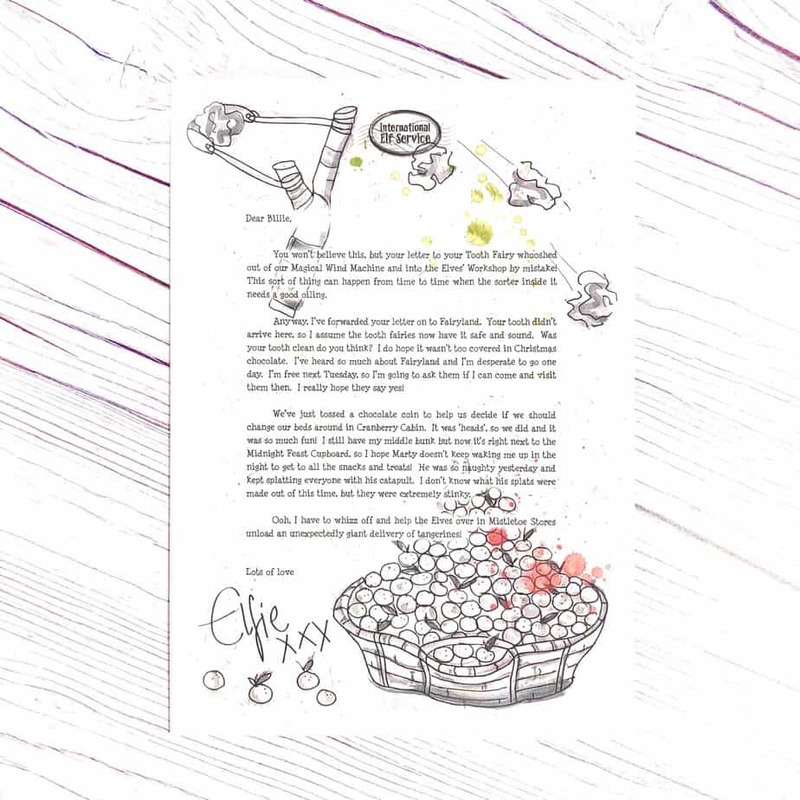 Somehow your child(ren)’s letter to the Tooth Fairies ends up in the North Pole by mistake! 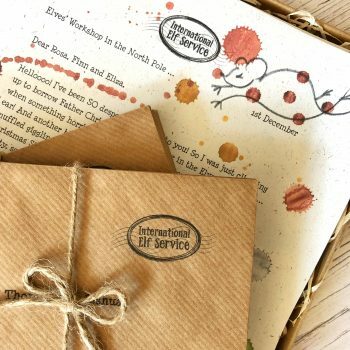 Elfie panics, forwards the letter on to Fairyland (just in time), and writes to your child to explain what’s happened ‘just in case’…on paper with real elephant poo in…and in one of the International Elf Service ™ envelopes. Always keen to chat, Elfie also tell us about the current goings on in the North Pole! 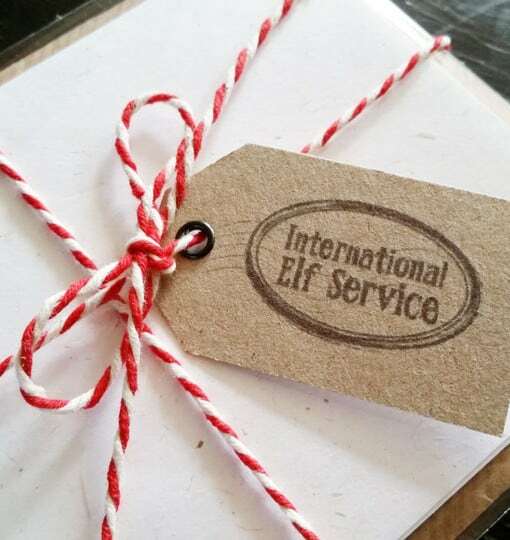 A personalised letter from Elfie, lovingly illustrated and complete with ink splodges, marks and smudges will be addressed to your child, with a personalised International Elf Service™ envelope. 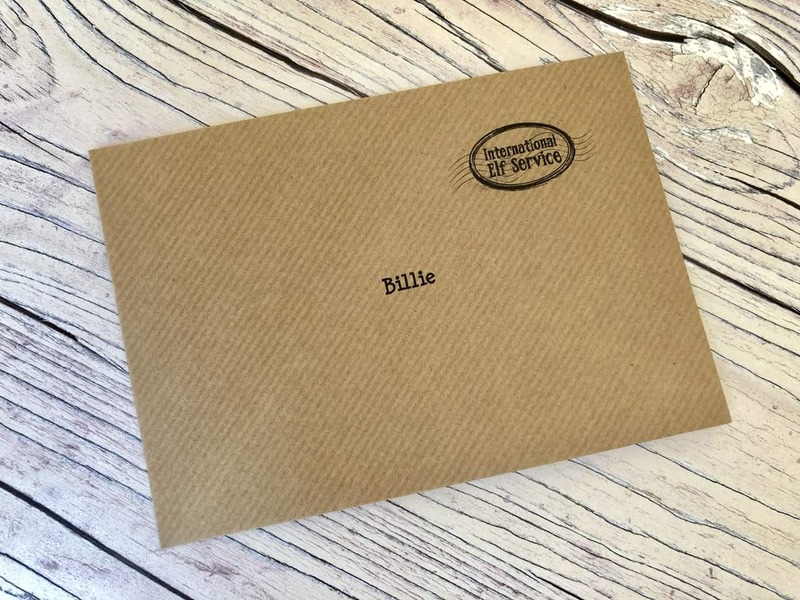 I bought an elfie toothfairy letter for my 10 year old daughter as she is getting older and it is getting hard to keep the magic going……..We have also bought the advent letter pack, and as she had just lost 2 teeth thought the timing was perfect for laying the groundwork for ‘priming’ her for the letters…….she is now firmly back believing (it was starting to waver) and we are looking forward to a very magical Christmas period for all 3 of our children. -Our daughters’ reaction was one of sheer wonder, delight and relief! I bought an elfie tooth letter for my 7 year old as he is already a great elfie fan. The day the tooth fell out we were so caught up with watching the Olympics that we forgot to write a letter (this letter is in response to one the child writes). I covered the pot the money is left in in elfie sparkles that appear with the Christmas letters. 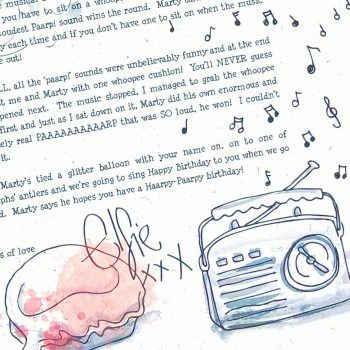 Great excitement in the morning, so the suggestion was made that James wrote to the tooth fairy asking if she knew elfie. He was speechless the following morning when elfie’s letter arrived. Of course I then had to write a letter from the tooth fairy saying what good friends they were! Thank you so much and we can’t wait for December!